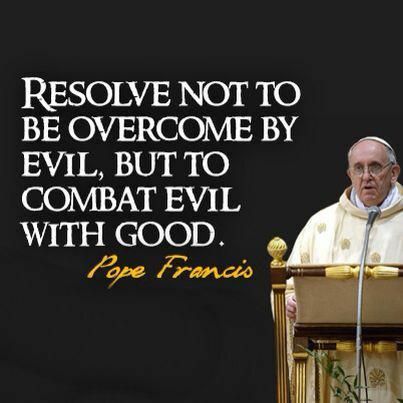 Catholic requirement to fight evil!!! Put on the armor of salvation!! | ADULT CATECHESIS & CHRISTIAN RELIGIOUS LITERACY IN THE ROMAN CATHOLIC TRADITION: hosting ONLY True Christians!! !, or "How to think Catholic!!" Catholic requirement to fight evil!!! Put on the armor of salvation!! “Finally, let the mighty strength of the Lord make you strong. Put on all the armor that God gives, so you can defend yourself against the devil’s tricks. We are not fighting against humans. 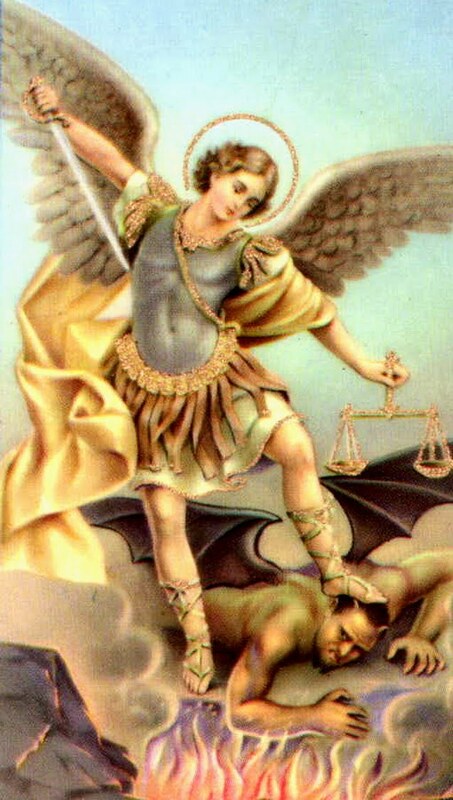 We are fighting against forces and authorities and against rulers of darkness and powers in the spiritual world. So put on all the armor that God gives. Then when that evil day comes, you will be able to defend yourself. And when the battle is over, you will still be standing firm. Be ready! Let the truth be like a belt around your waist, and let God’s justice protect you like armor. Your desire to tell the good news about peace should be like shoes on your feet. Let your faith be like a shield, and you will be able to stop all the flaming arrows of the evil one. Let God’s saving power be like a helmet, and for a sword use God’s message that comes from the Spirit. Asking questions is one of the characteristically Catholic things I love MOST about being Catholic! Maybe you have noticed? No? It is. It’s true. I do. “Below is the partial text of Pope Francis’ Angelus address for September 8, delivered this morning in Rome to the assembled crowd in St. Peter’s Square, the morning after the Holy Father led a prayer vigil for peace in Syria in that same space. Translation via Vatican Radio. In the Gospel for today, Jesus reiterates the conditions for being His disciples: not putting anything before your love for Him, carrying your cross, and following Him. Many people came up to Jesus, wanted to be one of His followers; and this would happen especially in the wake of some prodigious dream, that indicated Him as the Messiah, the King of Israel. But Jesus doesn’t want to create illusions for anyone. He knows full well what awaits Him in Jerusalem, the road that the Father is asking Him to take: it’s the road of the cross, of sacrificing Himself for the redemption of our sins. Following Jesus doesn’t mean taking part in a triumphal parade! It means sharing in His merciful love, becoming part of His great mission of mercy towards each and every man. The mission of Jesus is precisely a mission of mercy, of forgiveness, of love! Jesus is so merciful! And this universal forgiveness, this mercy, comes through the cross. Jesus doesn’t want to carry out this mission alone: He wants to involve us too, in the mission that the Father entrusted to Him. After the resurrection, He will say to His disciples. “As the Father sent me, so am I sending you… If you forgive anyone’s sins, they are forgiven” (John 20, 21.22). A disciple of Jesus gives up all his or her goods, because he or she has found in Him the greatest Good, within which every other good receives its true worth and meaning: family relations, other relationships, work, cultural and economic wealth, and so forth… A Christian detaches from everything, and then finds everything in the logic of the Gospel, the logic of love and service. To explain this requirement, Jesus uses two parables: the one of the tower to be built, and the one of the king who goes to war. The second parable goes like this: “What king, marching to war against another king, would not first sit down and consider whether with ten thousand men he could stand up to the other, who was advancing against him with twenty thousand? If not, then while the other king was still a long way off, he would send envoys to sue for peace” (Luke 14, 31-32). Here Jesus doesn’t want to discuss war, it’s only a parable. But at this moment in time, when we’re strongly praying for peace, this Word of the Lord affects us closely, and fundamentally it says: there’s a deeper war we must fight, all of us! It’s the strong and brave decision to renounce evil and its seductions, and to choose good, fully prepared to pay personally: that’s following Christ, that’s taking up our cross! This deep war against evil! Be sober, be watchful. Your adversary the devil prowls around like a roaring lion, seeking someone to devour. Resist him, firm in your faith. Previous PostMarie Collins, Pontifical Commission for the Protection of MinorsNext PostMercy…ransomed, redeemed, suddenly debt-free!!! !